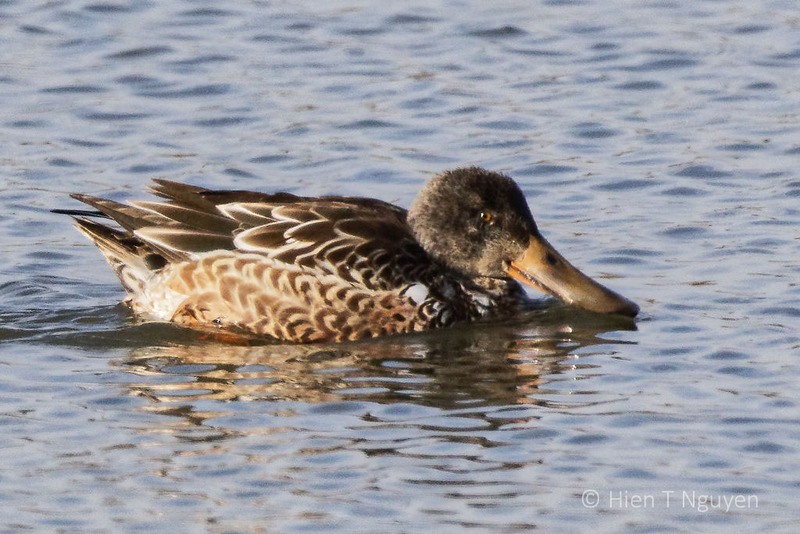 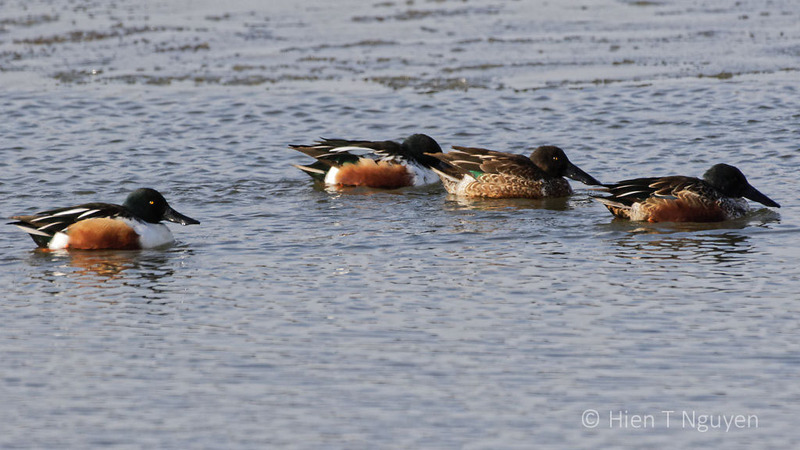 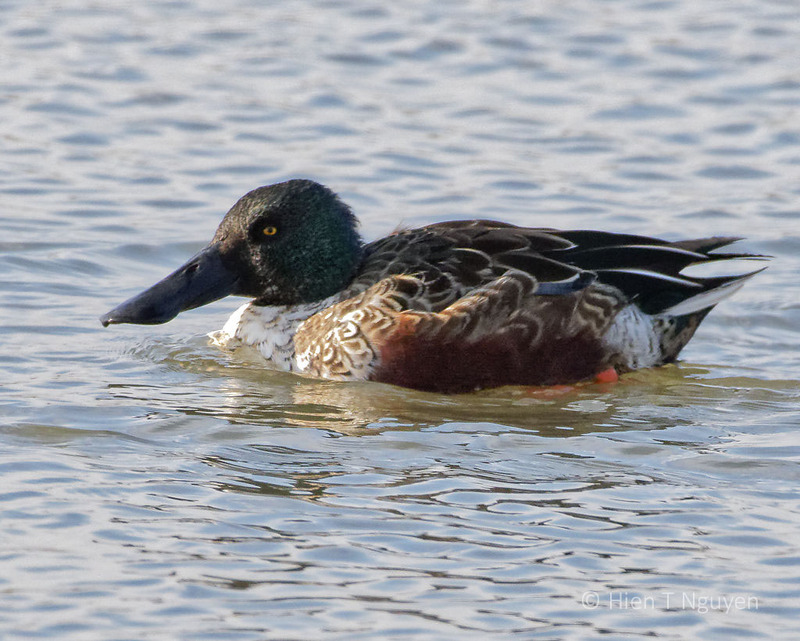 The Northern Shoveler is a common wetland duck distinguished by its long bill which is wider and its tip than at its base. 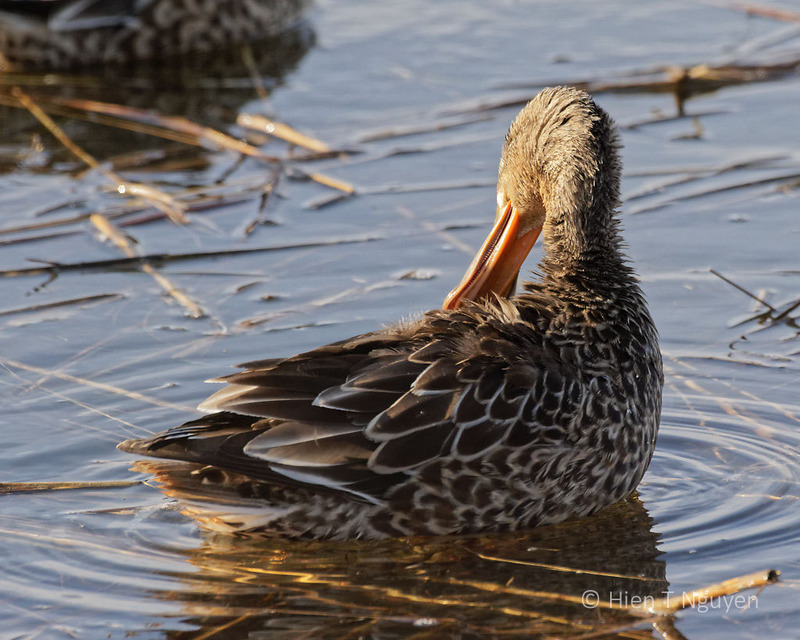 It uses it to forage for food, which can be plants or small crustaceans. 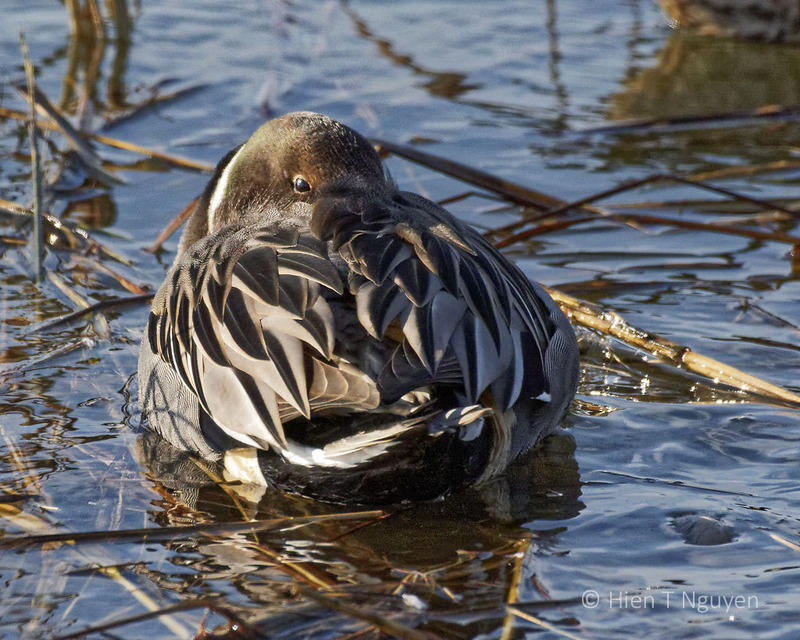 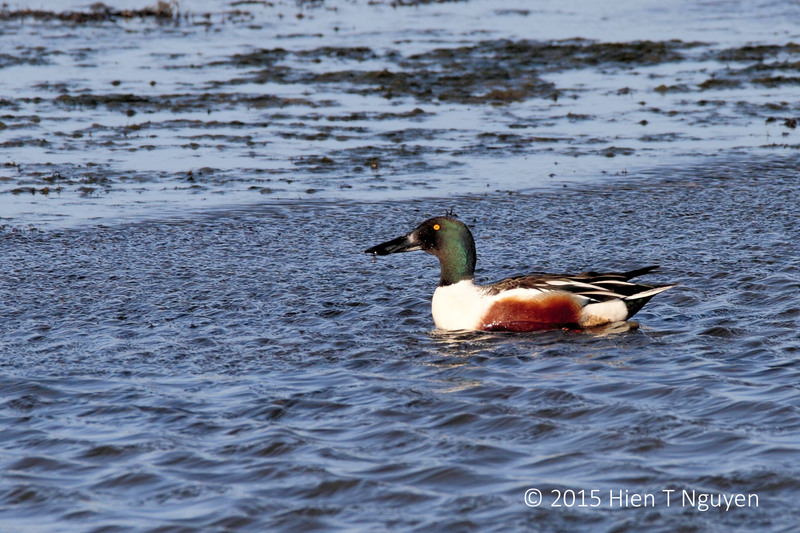 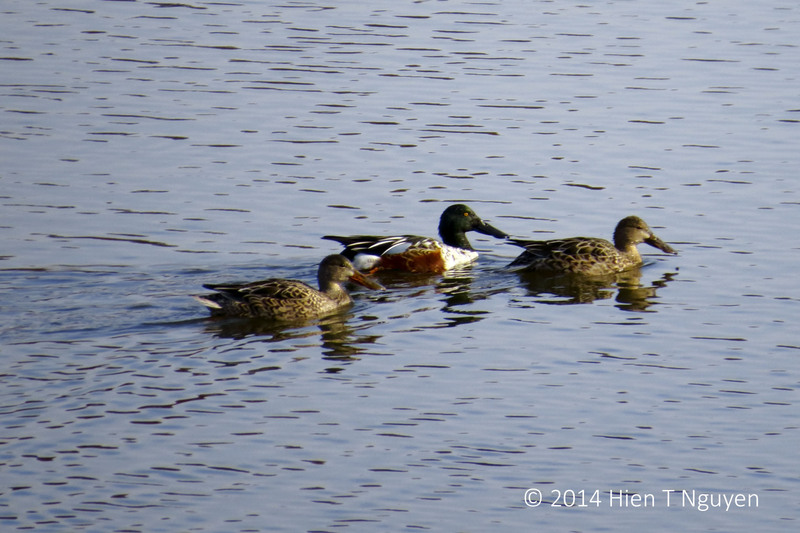 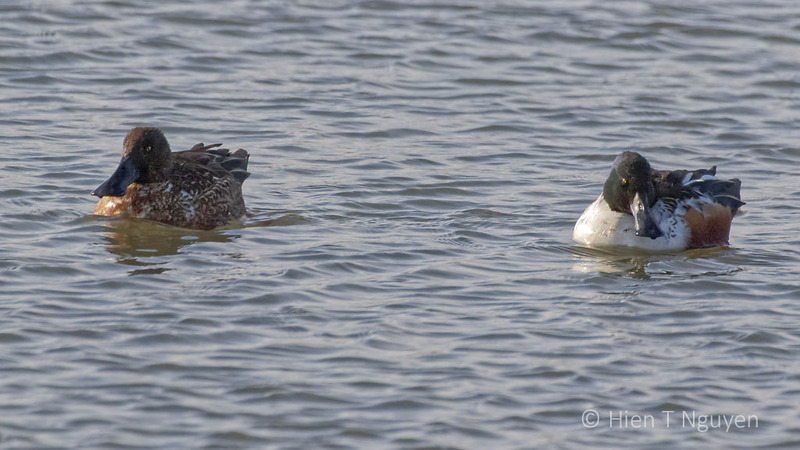 I found the following trio swimming around at the John Heinz National Wildlife Refuge last weekend. 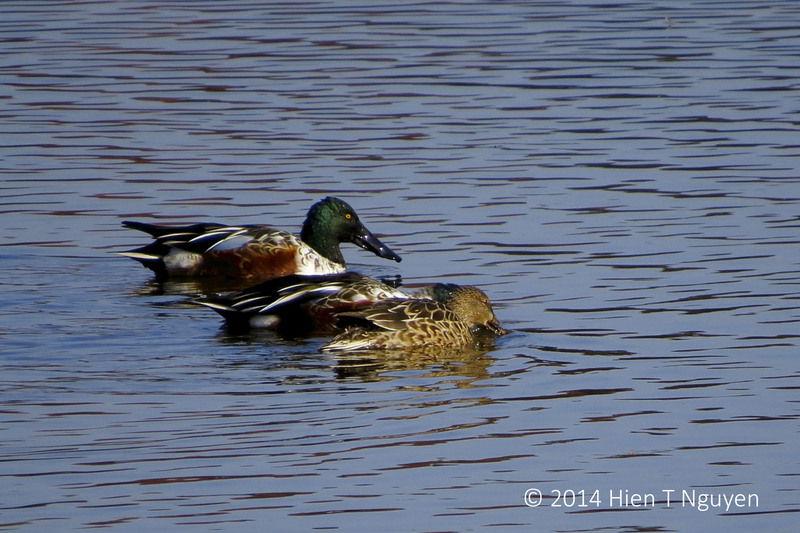 Here’s another look. 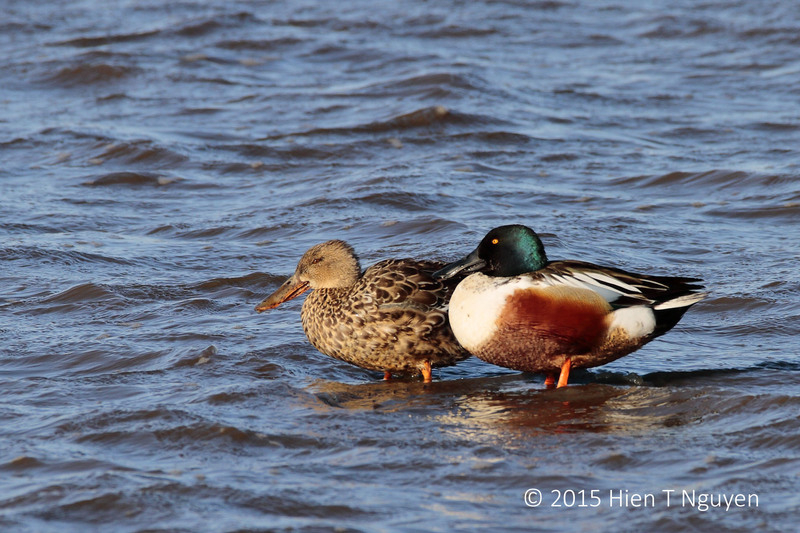 As usual, the male has colorful plumage while the females are more subdued.